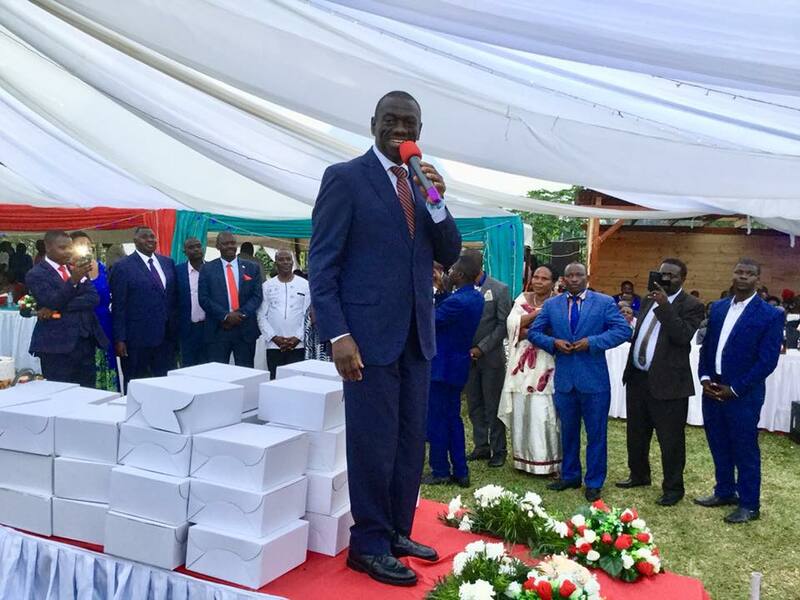 KAMPALA– Opposition lynchpin Col (Rtd) Dr. Kizza Besigye has urged Ugandans to use the Christmas holidays to renew their faith in God that he can change the political environment in the country. Addressing the congregation at Uganda Martyrs Parish in Mbarara Municipality after Christmas mass, the four-time presidential candidate added that every new year, he overcomes a hurdle in his life. ‘’When God created us, he knew that we needed to be renewed that is why he sent his son Jesus Christ so that we can get new life and be born again. Whenever I start a new year, I start it with strong faith hoping that what I have failed to achieve God will help me achieve it so you should be hopeful that what has been covering heaven will soon be opened,” said Besigye, who was franked by his wife Winnie Byanyima. Chief Justice Bart Katureebe on his part asked Ugandans to promise themselves to keep the peace that comes with the birth of Jesus Christ because it is the reason that he (Jesus) was born. Uganda Martyrs Parish priest Rev.Fr Didas Kasapuri blamed the current conflicts in the country including land, politics and murders on lack of peace and stability in the lives of Ugandans which he said can only be solved if people return back to God. ‘’We no longer have peace and love in our families because we have diverted our attention from God and concentrated on things of the world that do not help us. That is the reason why we do not have stability in our families and in the country but we are welcoming God to our hearts so that we can have peace at our hearts’’ Rev.Fr. Kasapuri said. He added when there is darkness in a room and someone lights a candle everybody looks at the candle so that is why Jesus Christ was born so that we can have light in our darkness so when you come to him we shall end all the problems in this world.